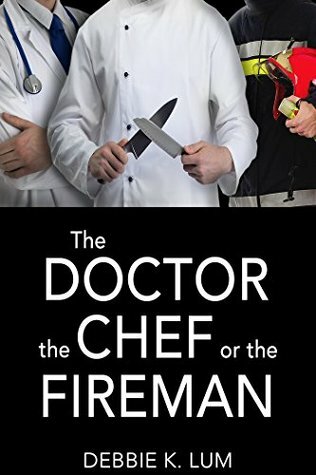 Book blogger Sara Strand has written an awesome review of The Doctor, The Chef or The Fireman on her Stranded in Chaos blog! "For only being 174 pages we get a lot of story, a lot of characters, and a sweet romance...Perfect to throw into your purse and read between hauling kids to different activities, this book kept me glued to it and I flew through this is a day." Read her full review on her blog here. Thanks, Sara, for posting! It's Fall! Which means cooling temperatures, leaves on sidewalks, and a chilling run through a vineyard in my romantic suspense novel THE DOCTOR, THE CHEF OR THE FIREMAN. And I'm running a giveaway on Goodreads for 100 Kindle copies! Enter below and deadline to enter is Monday, October 15! Giveaway ends October 15, 2018. Lauren wasn't looking for fame in Plebeian Revealed, but now she has it. And she also has something else she didn't want: a stalker. Watch #MyBooksIn30Seconds shot #26 as I read one of the scenes. Yikes! In #MyBooksIn30Seconds series, I introduced you to Daniel, a friend who was the muse for the character Daniel in I Can Handle Him. In #25 of #MyBooksIn30Seconds series, I introduce you to Davis, my friend who was my inspiration for the character Davis in Plebeian Revealed, Plebeian In Danger, Plebeian Reborn and The Doctor, The Chef or the Fireman. I don't prefer to name fictional characters after the real names of the people who inspire them. In Daniel's case, I had no choice! We had been working together on the character development and when I told him my name ideas for that character, he insisted it be Daniel! In Davis' case, he never knew I was writing a character who would be a best friend to the main character, Lauren. Since this was my first-ever book and I didn't know what I was doing, I had put the name "Davis" in as a placeholder as I wrote. And now I know, a writer shouldn't do that because it makes it too easy to get attached to that name. So that's how Davis ended up being not only an inspiration, but also the fictional name in the book. Watch episode #25 to meet Davis! Who Loves Romance On The Beach? I do! That's why I wrote several romantic beach scenes in the Plebeian series. Check out #MyBooksIn30Seconds, episode #24 as I was live on Galveston beach talking about Plebeian Revealed, Plebeian In Danger and Plebeian Reborn.